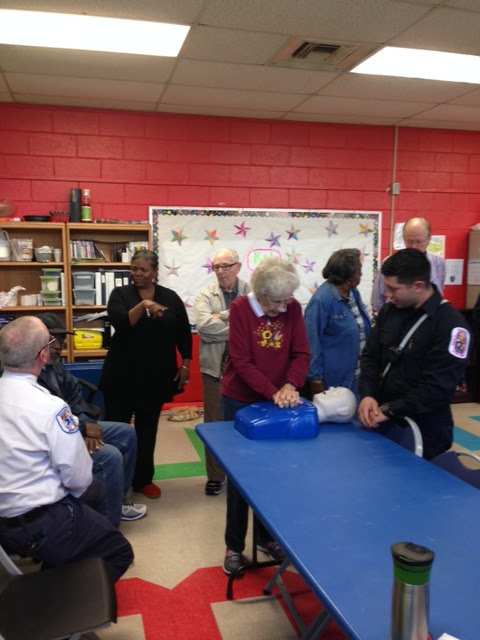 The Prince George's County Fire/EMS Department used their time at two community coffee club meeting today to teach hands-only CPR and the Pulse Point Program. Nearly 75 citizens were instructed at the Hyattsville and Clinton Coffee Club Meetings. 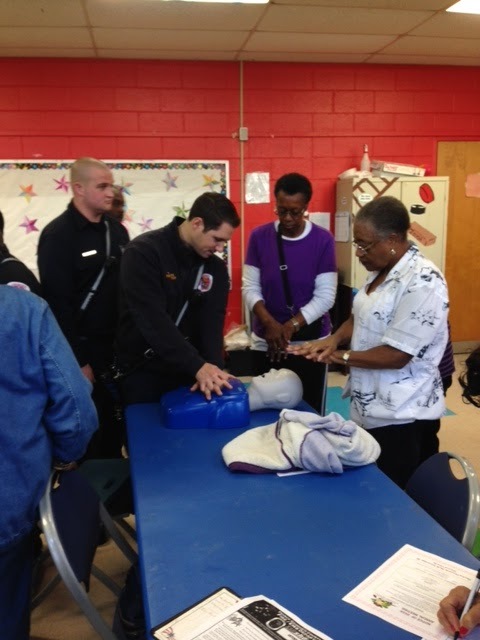 Firefighters and Medics demonstrated the hands-only CPR technique and provided details on the Pulse Point phone app. Coffee Clubs are meetings held monthly and attended by members of the community, public safety officials and representatives of local governments. The app provides our residents and visitors the ability to know when a cardiac arrest is occurring close by, to respond quickly, and to attempt potentially lifesaving CPR while paramedics travel to the scene. The app also notifies users of the closest available Automated External Defibrillator (AED). 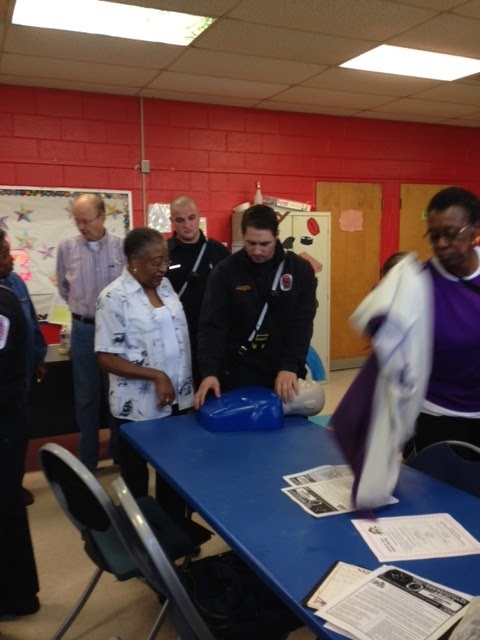 Early application of bystander CPR and rapid defibrillation from an AED have proven to be crucial in improving a person’s chance of surviving sudden cardiac arrest. Pulse Point is not limited to emergency responders or those with official CPR certification. It can be used by anyone who has been trained in CPR. The Pulse Point app provides users with a display of PGFD’s active and recent incidents countywide. On average, PGFD responds to 400 daily calls for service; more than 80 percent are for emergency medical services. The Pulse Point phone app can be easily downloaded from your phones app store, search pulse point. 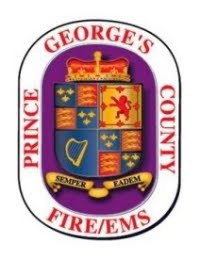 The Prince George’s County Fire/EMS Department is taking a new and innovative approach in assisting citizens with their healthcare needs. The new program, titled Mobile Integrated Healthcare, will focus on linking our residents with available healthcare agencies throughout the county and region. Through the utilization of community based paramedics and nurses, the program will bring healthcare providers to a citizens home to assess and coordinate their health needs. Based on the complexities of the current healthcare system, many citizens utilize the 911 system as their primary means of healthcare. This innovative approach will ensure our citizens are connected with the best healthcare resources available in the region. The Mobile Integrated Healthcare Team will initially focus on those citizens that have accessed the 911 system frequently. Once identified, the team will meet with patients in the comfort of their home to discuss and identify healthcare needs. During these home visits, the patient will be assessed for any acute medical problems, have their medical history and current medications reviewed, and the team will also perform a full home safety assessment. This home safety assessment will ensure that any potential hazard can be identified and corrected. The overall goal of these home visits is to connect the citizens with services that meet their specific needs, whereas an ambulance transport to the emergency room may not always be the appropriate solution. One unique aspect of this program is the collaboration of various healthcare agencies working together to focus a patients individual needs. The Mobile Integrated Healthcare Team has teamed up with the Prince George’s County Health Department, our local hospitals, insurance groups, and many other healthcare agencies to assist in connecting these citizens to appropriate programs and services. Each citizen has different needs, but by having reliable connections, the Mobile Integrated Healthcare Team is able to navigate the challenges associated with the current health care industry.